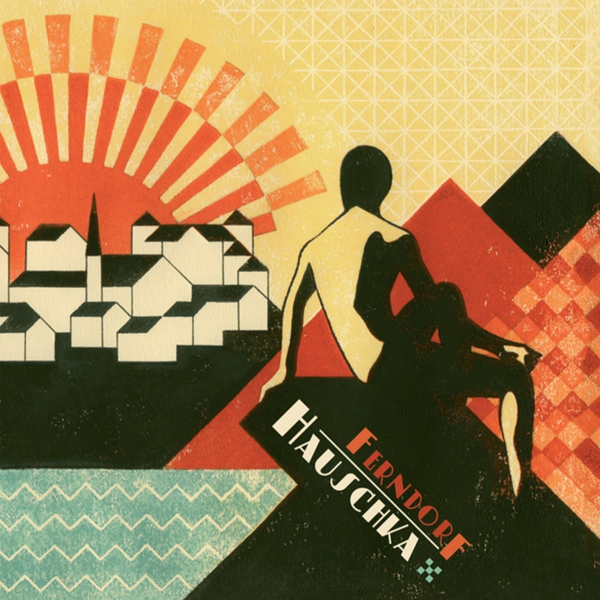 Ferndorf is a second outing for Hauschka on Fat Cat's subsidiary label 130701, and it feels like a natural, but very substantial progression from last year's Room To Expand. From the first, urgent chords of 'Blue Bicycle' it's clear that Volker Bertelmann as at the height of his powers as a composer, heightening the scale of his creative ambitions beyond the signature prepared piano melodies that have characterised previous works, and taking on a more full-blooded sound not too far removed from the kind of lavish contemporary orchestrations you'd hear from labelmate Max Richter. If Richter's music is characterised by a neo-romantic sense of drama, Hauscka's is more entrenched in the 20th century avant-garde, bringing to mind not only the famous forefather of the prepared piano, John Cage, but perhaps also the confrontational yet playful plinkety-plonk of dada too - there's even a bit of a krautrock undercurrent in here, as hinted at by the mesmerising 'Barfuss Durch Gras'. The repetitions and machine rhythms of 'Rode Null' contrast with the slick, string ensemble dynamics, yet bring to mind Philip Glass, or even Rachel's in their engagement with the minimalist traits of modern classical narratives. Much of this album is content to be overtly, undeniably pretty though: 'Heimat' is a simple, beautifully melancholy piano theme, while 'Morgenrot', 'Neuschnee' and 'Weeks Of Rain' bask in their own sumptuousness. An absolutely gorgeous album - Essential Purchase.